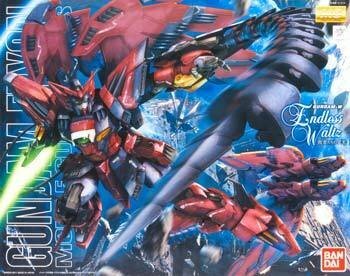 This is the 1/100 Scale MG Gundam Epyon EW Ver. 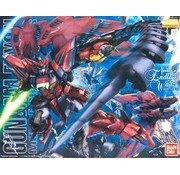 Plastic Model Kit from the Gundam series by Bandai. Suitable for Ages 15 & Up. - A next generation Mobile Suit kit, Endless Waltz's Gundam Epyon rockets into action! - Complete transformation from MS form to MA form. - Equipped with a variety of gimmicks to express the Epyon's unique abilities! - Opening jaw gimmick (held in the sole of the Mobile Suit's foot). - Epyon claw completely re-imagined, now sitting flush with the forearm and featuring an extending gimmick, giving a sense of movement. - Heat rod incorporates bending mechanism thanks to jointed parts. - Interlocking moving wings extend by pulling down on the bottom. - Marking decals designed by Hajime Katoki. This is it! 170379 1/100 MG Gundam Epyon EW Ver. 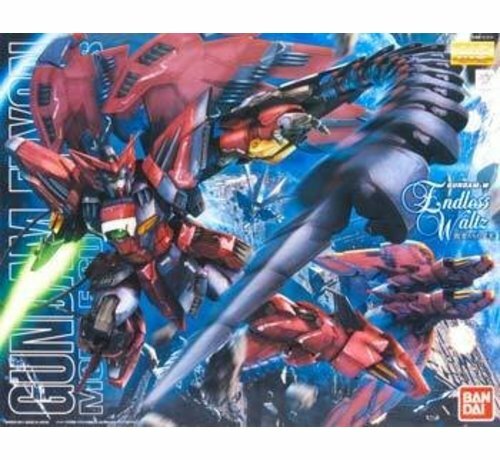 Create your own review for 170379 1/100 MG Gundam Epyon EW Ver.